With pools exposed to the elements, it has become clear that painted pool surfaces do not fare as well as tiled pools. 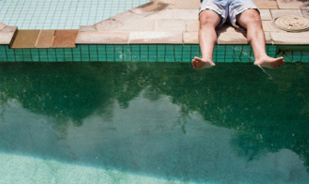 Where tiled pools hold their aesthetic for years, painted surfaces discolour, stain and chip. Because of this, painted pools require more cosmetic maintenance, and become costly for the owner. Tiling pools is as much about functionality as it is about aesthetic appeal, with tiles giving better depth and colour, they also last significantly longer. Looking to Renovate your pool? 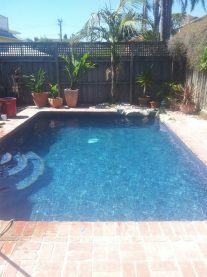 Pro Pool Services is fortunate to have access to experienced tilers, pool liner installers and painters that have renovated pools across Melbourne. And as such we can offer affordable renovations using quality materials, expertly applied, no matter the layout or shape of your pool. We can even tailor the renovation to your budget. 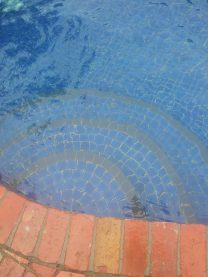 Whether it be an entire pool tiling, or just the upper borders with the submerged walls professionally painted, Pro Pool Services can offer a versatility that makes us the preferred Pool Professional in Melbourne. 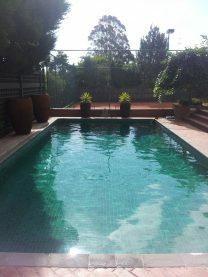 If you’ve considered reviving your pool, contact Pro Pool Services. We have a store in Moorabbin, where we can show you the latest products to go with your new pool. Renovating your pool can transform the overall aesthetic of your backyard, and create a long-lasting feature piece that the neighbours will be jealous of. Have a look at some of our contemporary transformations below.